The CEC multi-channel FFT analyzer is designed to work in conjunction with the 8000 CCATS system with direct connectivity of up to 4 channels. 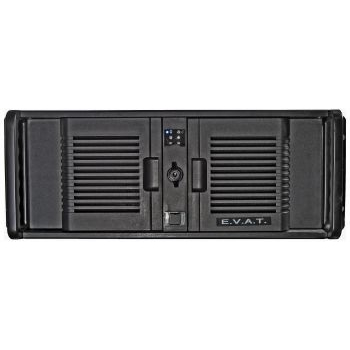 The FFT is completely self-contained in a 19” rack mount enclosure that is designed to mount directly adjacent to the CEC 8000 CCATS system. The time waveform data is viewed on a 7” display built in to the FFT analyzer. Each input channel is independent of the others and data for each input can be viewed simultaneously in multi-channel view. If more detail is required, an expanded view is available where the user can save a snap shot of the waveform for future evaluation. To effectively acquire and display a time varying complex signal, an FFT analyzer must be employed to process a direct or mathematically integrated vibration measurement. Depending on the desired result, the signal may be sampled multiple times and averaged. The time period to be viewed is the sample period times the number of samples and the sample rate. FFT processing is a method for taking the overall time varying input sample and splitting it into individual frequency components. This method extracts and displays meaningful vibration data to perform analysis in the field of predictive maintenance.